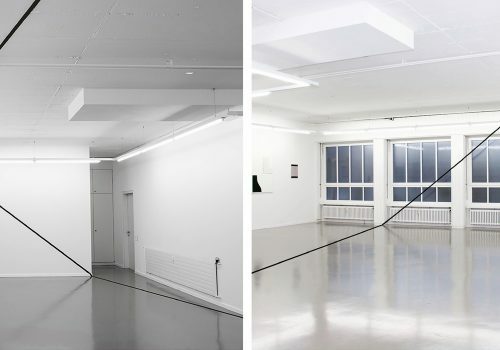 Ian Weaver’s work utilizes drawing, sculpture and film to act as metaphors for fracture. He is interested in the construction of identity and memory, and how individuals and communities use commemorations and their archived personal/communal objects to represent these constructions. His work centers on the now defunct “Black Bottom” section of the Near West Side of Chicago where African American residents once lived. 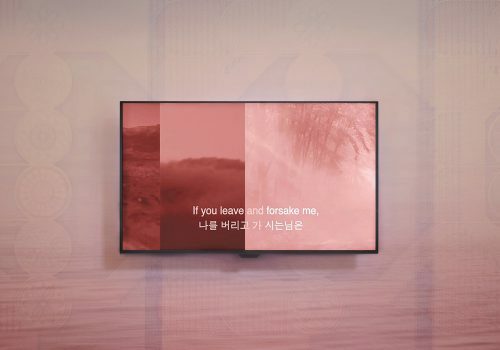 For this, he has constructed a fictive history for this destroyed community utilizing elements such as museum vitrines, maps and documents, sculpture, and film. Recently, he has extended this construction to the creation of a fictional group, the Black Knights – part medieval knight, part Black Nationalist – who lived within the community during the 1940s. Ian Weaver (born 1970, Chicago, IL) earned his M.F.A. from Washington University in St Louis in 2008. Recent solo exhibitions include a survey of his work (2004-2011) at the South Bend Museum of Art, as well as exhibitions at the Chicago Cultural Center (2015), the Indianapolis Museum of Contemporary Art (2014), and the Saint Louis Art Museum (2009-10). 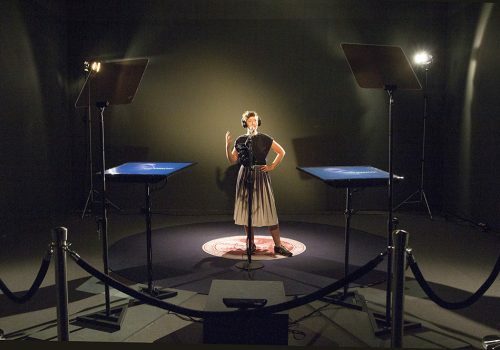 Recent group exhibitions include the Kemper Art Museum and White Flag Projects, both in St. Louis, MO. He has been in residence at Yaddo and the Millay Colony and his awards include grants from Artadia and the Joan Mitchell Foundation, the Illinois Arts Council, and the Department of Cultural Affairs, Chicago, IL. 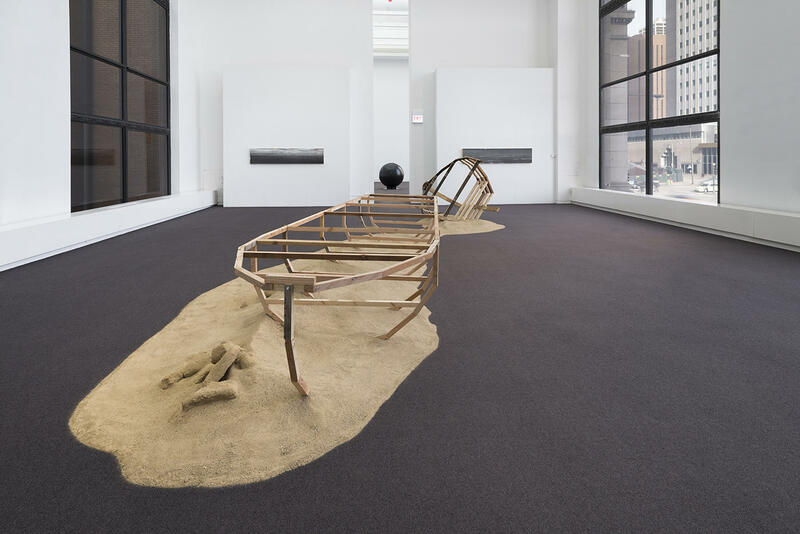 Ian Weaver, Migration, 2015, Wood, rope, sand, aluminum, photographic transfer and film projection, Dimensions variable. Courtesy of the artist. Norah Lovell’s work includes small-scale figurative, narrative paintings on paper and panel, rendered in pencil, gouache, and casein. Densely layered and detailed, visually and thematically complex, they have the look of Persian miniatures, or French wallpaper with unexpected, surreal details. 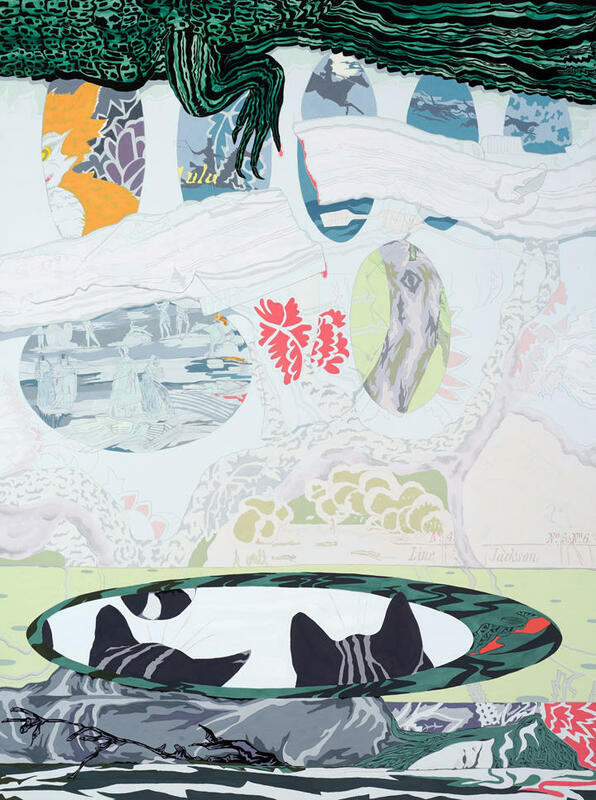 Her recent large scale-works represent a kind of history painting through a feminist lens, replete with battle scenes, animal fables and an unfolding ghost story that pays homage to forgotten female painters. Norah Lovell (b. New York City) received her MFA from the University of Chicago and BFA from the University of New Mexico. Residing in New Orleans since 2008, she was the recipient of a Joan Mitchell Center grant and studio residency in 2013-14. Her work has been exhibited at the Contemporary Arts Center, New Orleans, and The Ogden Museum of Southern Art. Her recent work was on view at ArtPrize 2014 at the Grand Rapids Art Museum and she was included in multiple Propsect New Orleans venues in 2014-15. Norah Lovell, BONO: Last Act Sharp Knife, 2015, Gouache on panel, 48 × 36 in. (121.92 × 91.44 cm). Courtesy of the artist. Paint has the binary ability to summon and refuse, reveal and conceal, beautify and debase. Aaron Collier’s work attempts to revel in these manifold offerings, for in so doing, the resulting imagery is consonant with our tangled interaction with the world. Routine are encounters marked by disclosure and obstruction; we happen upon phenomena that we are seemingly able to know, grasp, and understand along with those we fundamentally cannot. Paint fittingly pictures this paradox, for painting itself is an in-between act, a simultaneous doing and undoing. Collier’s paintings, drawing and collage, thus traffic more in fragment than in chronicle. Images that indefinitely “suggest” allow him to situate the viewer and himself as deferential participants, adventuring with the image. Aaron Collier lives in New Orleans where is an Assistant Professor at Tulane University. Solo exhibitions include Cole Pratt Gallery and Staple Goods, an artist cooperative in the St. Claude Avenue Arts District. His work has been included in group exhibitions at the Contemporary Arts Center and the Ogden Museum of Southern Art and has been featured in New American Paintings. Collier’s paintings are represented in collections such as the Boston Medical Center, Iberia Bank and New Orleans Museum of Art. He has participated in residencies at the Joan Mitchell Center in New Orleans, Ragdale Foundation and Virginia Center for the Creative Arts. 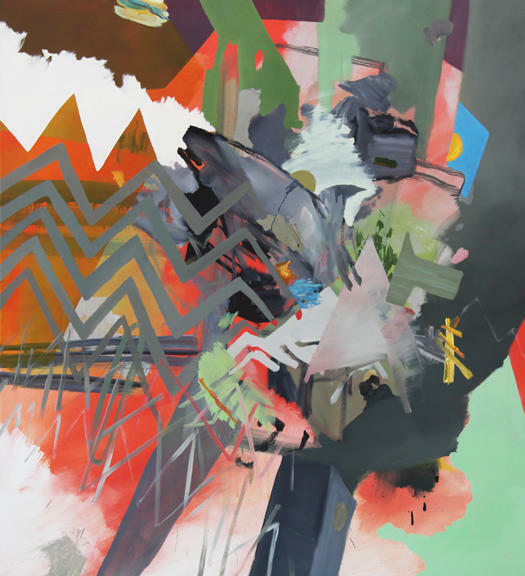 Aaron Collier, Complications in the Pattern, 2012, Oil on canvas, 44 × 40 in. (111.76 × 101.6 cm). Courtesy of the artist.